A volunteer for an elementary school in Irvine and her family have been through some troubling times ever since the volunteer was taken into custody by police after she was wrongly accused of using illegal drugs. The accusations were part of a conspiracy created by a couple that is facing criminal charges of conspiracy. 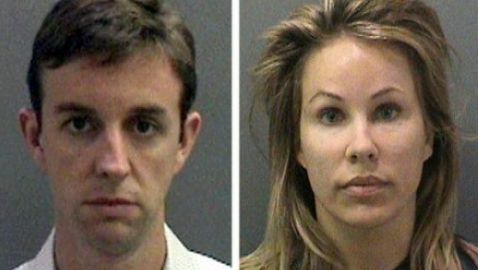 Now, the family has filed a lawsuit in Orange County Superior Court that states “that some unknown person or persons were actively trying to destroy them.” The victims of the conspiracy are Kelli Peters, her husband Bill, and their 12-year-old daughter. The couple charged with conspiracy is that of Kent Wycliffe Easter and Jill Bjorkholm Easter. They both work as attorneys and were taken into custody back in June. The charges include conspiracy to procure the false arrest of the elementary-school parent volunteer, false imprisonment and conspiracy to falsely report a crime. They both could face three years in prison if they are convicted. The couple has been accused of planting drugs in the vehicle of Peters. The couple thought Peters was not doing a good job supervising their son at school. They are going to be arraigned on August 23. Back on February 16, 2011, Peters was arrested by officers who were following a tip phoned in by Kent Easter. He told police that he was a ‘concerned parent’ and accused Peters of driving erratically and using drugs in the car while at school. Peters was arrested in front of school officials, students and her child at Irvine’s Plaza Vista School. According to the lawsuit, Peters “experienced recurring nightmares about being arrested or about being murdered by an unknown attacker.” In one of her nightmares “an unknown assailant breaks into her home and slits her throat before killing the rest of her family in cold blood.” The lawsuit also said that Peters cried and uncontrollably shook when she was in custody for over two hours. Her husband said he was ‘horrified’ about the accusations. The lawsuit also says that the daughter, who saw the arrest, has struggled at home and in school. Following the arrest, the daughter “would wake up in the middle of the night, terrified, and run to her parents’ bedroom where she cried herself to sleep in her mother’s arms,” the suit note. The lawsuit also says that the girl’s grades have dipped, she has become withdrawn and shunned by her classmates.